Sometimes you try a beer that really broadens your perception of what you can do with an ingredient. I am normally not much of a fan of the "standard" pumpkin ale formula (amber, heavily spiced, not much actual pumpkin flavor), but last year my friend Scott shared a bottle of Alpine's Ichabod with me. Ichabod is a pumpkin beer that is made as a different style each year, the 2007 version we had was wine barrel aged for several months with a dose of Brettanomyces. A sour pumpkin beer may sound like a way out there idea, but for fall 2008 both Jolly Pumpkin (La Parcela) and Allagash (Drunken Promise) did sour/funky pumpkin ales as well. Sadly I have not had the pleasure of trying either of them. It is nice to see several breweries going off the beaten path on a style that normally has so little variation. I couldn't get much information on Ichabod, so this recipe is not a clone. For the base beer I just came up with a recipe for a malty Belgian brown/red of my own design. The base malt was pils, with some Munich and melanoidin for bready maltiness. I added some wheat and flaked barley for body and head retention. The grist was rounded out with two types of crystal malt for residual sweetness and flavor, and a bit of carafa for color. (after it was seeded, peeled, cubed, and roasted) yielded only about 1.5 lbs to add to the mash. I may add some more to the secondary fermenter at some point if the beer doesn't have much squash flavor. For spices I went with classic fall choices, nutmeg and cinnamon. I think nutmeg in particular pairs well with the flavor of squash. I wanted the spices in a supporting role (there is so much going on in this beer as it is), so I just added a couple grams of each. As always it is easier to add more spices later than deal with an over-spiced beer. The beer was pitched onto the yeast cake from the Funky Flower, so it should get pretty sour. I added 1 oz of medium toast oak cubes which had been soaking in cognac since last summer. I also added a cup of wine to help simulate wine barrel aging. I am hoping that the squash, spices, oak, and bacteria/yeast combine to make a complex autumnal flavor. This one should be ready to bottle by late fall, but it is really up to the yeast/bacteria to decide. 0.63 oz. Amarillo @ 60 min. 2.00 gm Cinnamon @ 0 min. 1.00 gm Nutmeg @ 0 min. 2/27/09 Peeled, cubed, and roasted a 3.75 lb butternut squash. 45 min @ 400 F. The pieces ended up soft, with brown spots, and a sweet aroma (and only 1 lb 9 oz). Added the squash to the mash in chunks. Collected 7.5 gallons of 1.047 wort. Cinnamon was jarred, nutmeg was fresh grated. Pitched onto the whole yeast/bacteria cake from the sour honey wheat beer that was brewed two weeks earlier. 3/14/09 Racked to secondary. Added 1 oz of oak cubes soaked in cognac. Also poured in a cup of J. Lohr Seven Oaks Cabernet Sauvignon. Volume about 4.75 gallons. 3/21/09 Small pellicle starting to form. The sample I pulled tastes pretty good, some spice and wine/oak flavors evident, and maybe a hint of squash. 8/09/09 Added a bit of Primere Cuvee for eventual carbonation. 2/10/10 Bottled with 3.25 oz of cane sugar. Final gravity 1.012, surprisingly high for how sour the beer tastes. Dry hopped 6 bottles with 2 Citra cones and 1 Simcoe cone. 3/16/10 First tasting of the dry hopped version. It is good, but I should have reviewed it earlier when the hops were fresher. Didn't do too well in the 2010 NHC, judges wanted more spice/quash flavor and aroma. 5/6/10 First tasting of the plain version. Very tasty, lots of sourness pretty complex. I don't think it needs more spice/squash (both are just over threshold). 6/9/10 Last bottle of the dry hopped version. Not what it once was, but still pretty tasty. That hops have gotten a bit grassy, not too surprising after 4 months on them in the bottle. Sounds like sweet idea. I saw you post some questions about this beer a couple of weeks back. I would love to know how it turns out. I had the Ichabod 07 and loved the beer, hope your turns out somewhat similar. I am sruprised you did not here back from the Brewer Pat. He usually is pretty good about getting back to you when you ask him questions. Pat eventually responded to my email, but I had already brewed the beer. He said he'd be happy to talk to me about the beer some time, but that he was too busy to type out all the details at the time. Is that a Global? Nice knife. Yep, it is pretty much the only nice piece of cutlery I own. Landin Ales from NY made a Harvest Ale with Squash and Spices that ended up tart and funky. Not 100% sure if they meant to do it, but sounds like yours might be similar. The Landin had a nice malt backbone to balance the spice and tartness. Sounds tasty (even if it was an accident). Hopefully mine has enough malt to stand up to the funk. 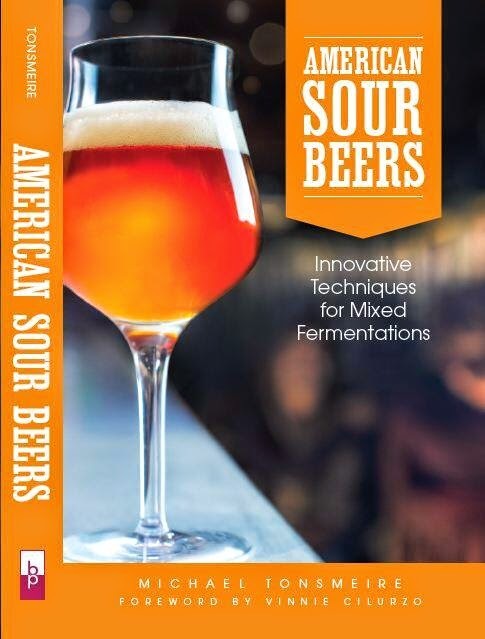 I haven't tried to make any squash beers myself but I've been toying with the idea for a while now. The more I think about it the more I'm convinced that you shouldn't put it in the mash. 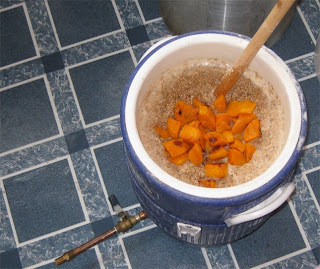 I think the squash should be treated like any other fruit (it is a fruit of the squash plant after all) that's added to beer in secondary. Maybe it wouldn't work but it just makes more sense to me. I look forward to your results though. I agree with you in the sense that squash really doesn’t have that much starch in it. 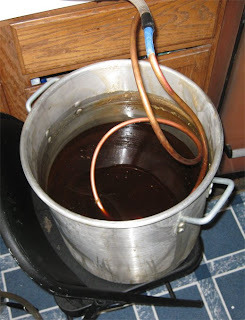 I had very good results with my chocolate pumpkin porter adding the pureed pumpkin near the end of the boil. I think this batch will get a second dose of squash in the secondary. What I’m not sure is how long I want to leave the squash in there before bottling. 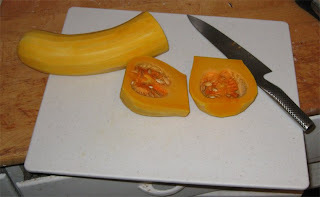 I’ll probably buy some squash soon to roast/freeze so it will be ready to go whenever I want to add it. Any recommendations on changes to your recipe if I wanted to try it and use pumpkin instead? No changes needed, although next time i would probably puree the roasted squash and add it to the boil. This got me more gourd flavor in a pumpkin porter, and the small amount of starch added would only be a benefit for the bugs. You could even consider adding the pumpkin to the fermenter. 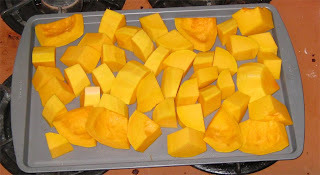 A good idea would be to try tossing the squash in olive oil and garam masala before roasting. It is THE BEST spice for squash. Garam masala could be a really fun addition, but for brewing I'd leave out the olive oil!